Record calls in progress and listen to them from your inbox or from Documents. Note: This article describes how to record calls not related to queues. 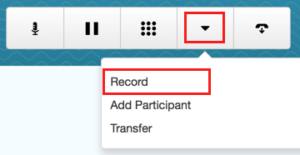 For information about recording voice interactions related to queues, see Create a recording policy.